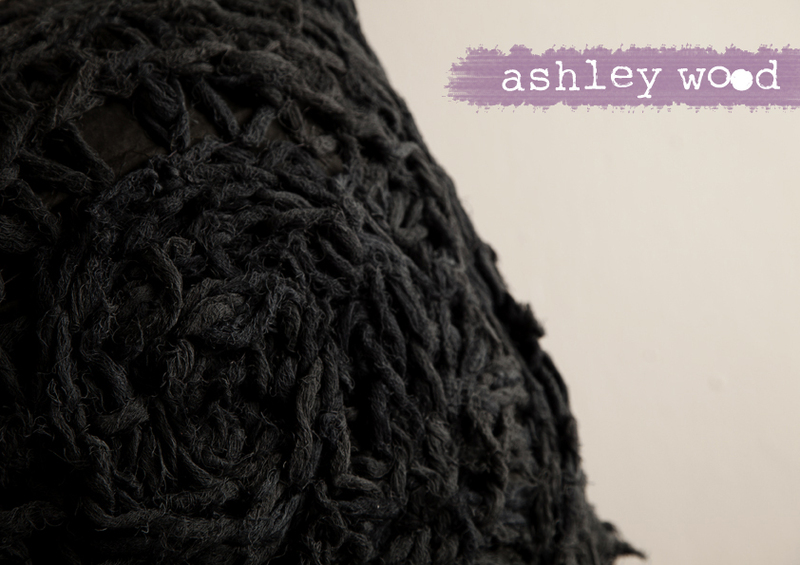 When we interviewed artist and designer Ashley Wood a couple of months ago for our article on her latest brilliant product range, she was working on new artworks for a one day art exhibition, partially curated by her and fellow Ruth Prowse graduates, Kathrina Foster, Bianca de Klerk, Anya Kovacs and Adele van Heerden. Well, after months of work and preparation the exhibition date and location is set! Be sure to set aside the afternoon /evening of Saturday the 26th of November. Looks to be quite the awesome indie event – it’s got a little underground vibe to it. The image below was taken at a previous ONE DAY art event. Looks seriously cool! In her Design Indaba feedback, Rose found emerging designer Ashley’s gauze bandage chandelier to be one of the most interesting designs at this year’s Indaba. 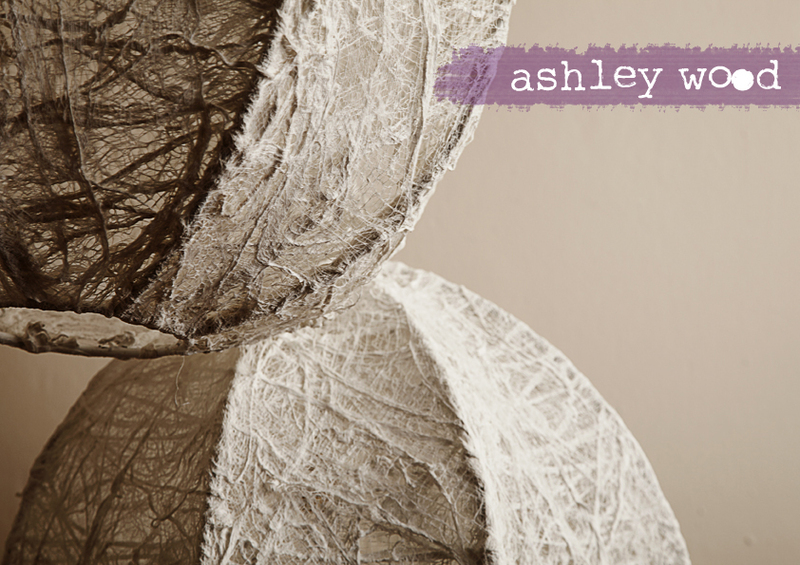 We were both quite excited when Ashley mailed us shots of her latest designs – all part of her new Gauze range. Boy, we sure like what we saw! The range includes new lighting designs in addition to some awesome-looking scatter cushions (you know scatter cushions are my weakness). 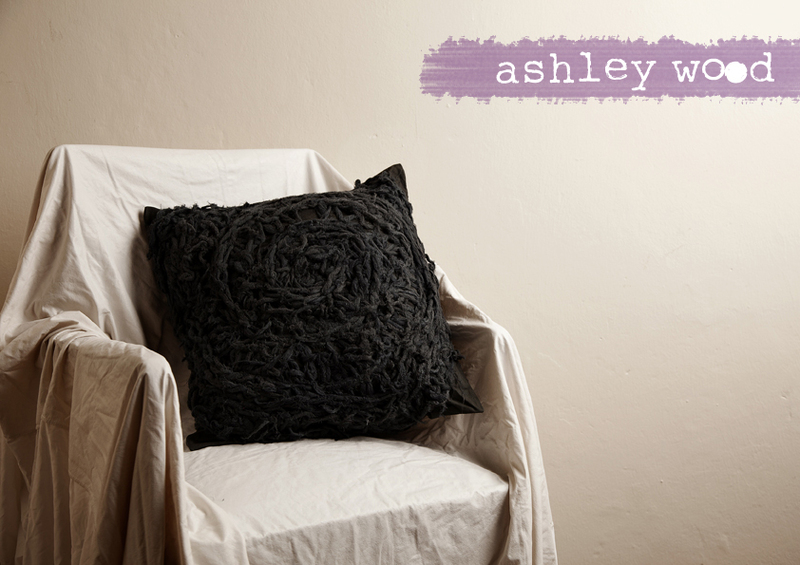 Ashley, who studied fine art, designed this range exclusively for NAP living (so exciting)! I was interested to know what she has been up to since the Indaba and what exactly inspired her work with bandage gauze as a medium…her answer was quite unexpected. 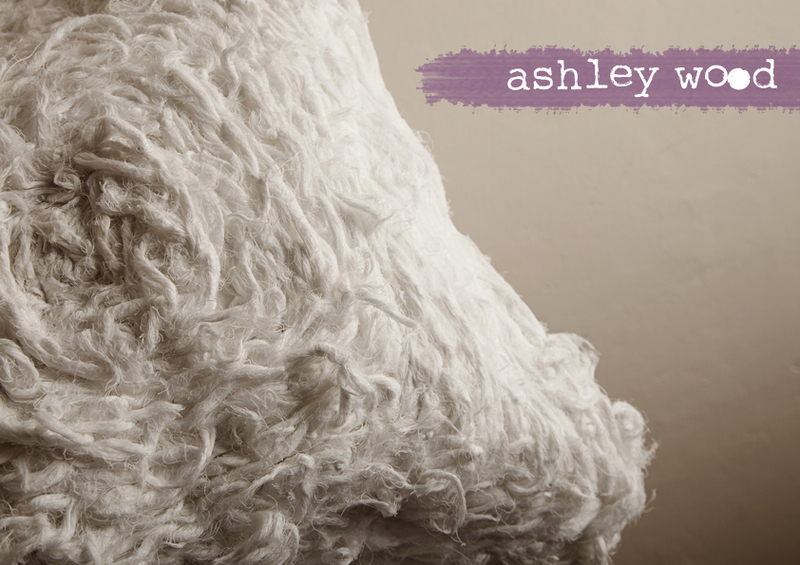 Diagnosed with epilepsy at the age of 15, Ashley suffered severe seizures that intensified during her 1st year of college. Most alarming was that the act of sketching induced further seizures…so her art (which she loved) became a fear. The seizures were so severe in fact, that she had to undergo brain surgery in hopes of alleviating the problem. She noticed that, when she felt a seizure looming, she was inclined to fiddle, tear and tie anything close at hand. This act served as distraction. The experience led her to a process of creating through fiddling – the only way she could calm herself down. Art acted as therapy. As an artist she adheres to a personal philosophy and an artistic concept of “Healing, Acceptance and dealing with Loss”. 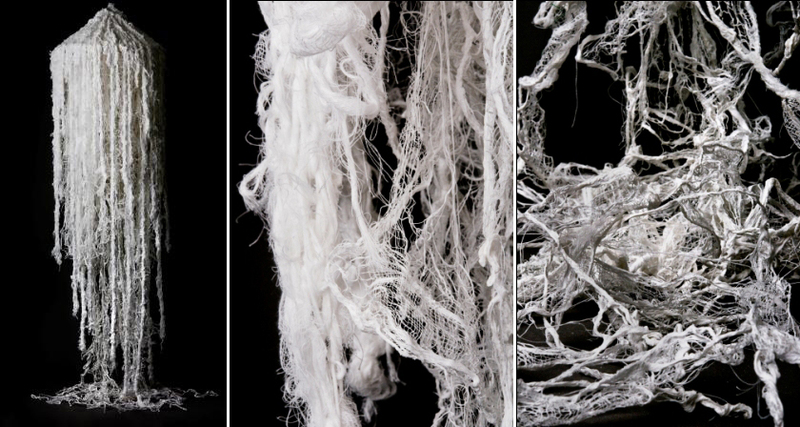 Gauze, and other medical products, therefore became a figurative embodiment of this notion. 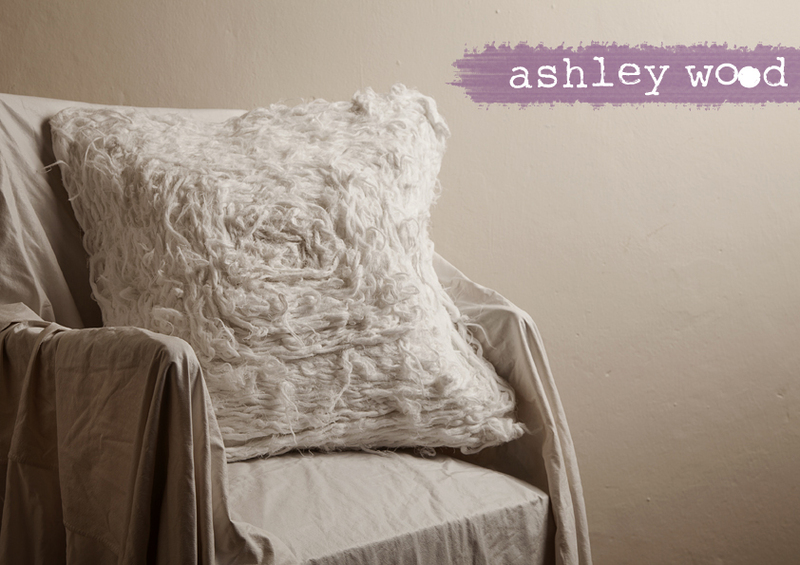 Ashley has come to love and appreciate gauze as an art material, especially its texture and varying colour qualities. 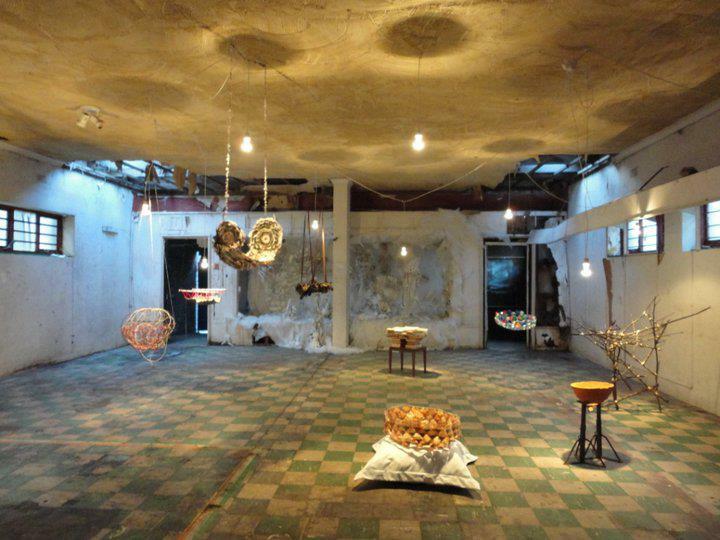 It has the ability to be deconstructed and recreated into something new and entirely unrecognisable. 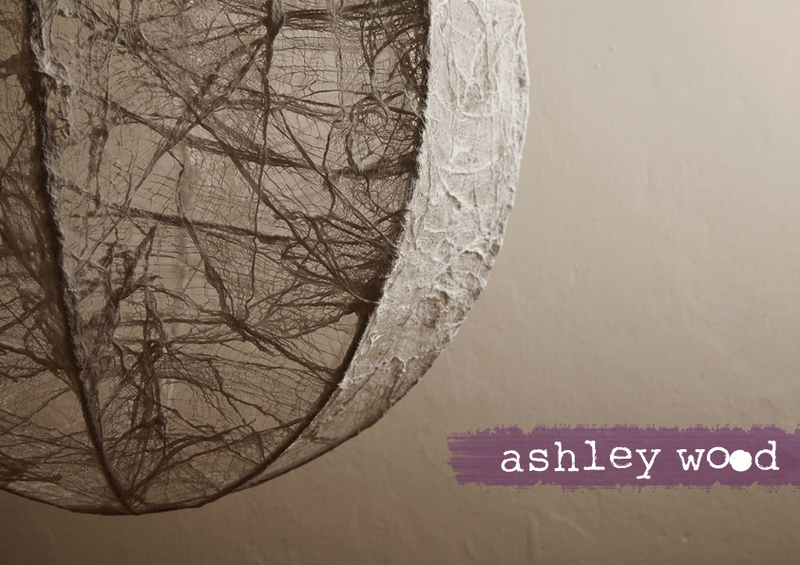 Ashley, who was completing her final year at the Ruth Prowse School of Art when she partook in the Design Indaba, was quite surprised by the overwhelming interest she got post-Indaba. She even had the amazing opportunity for her chandeliers to be showcased as part of a national fashion show for Kristall Mantwa in collaboration with Sharne van Rynveld. 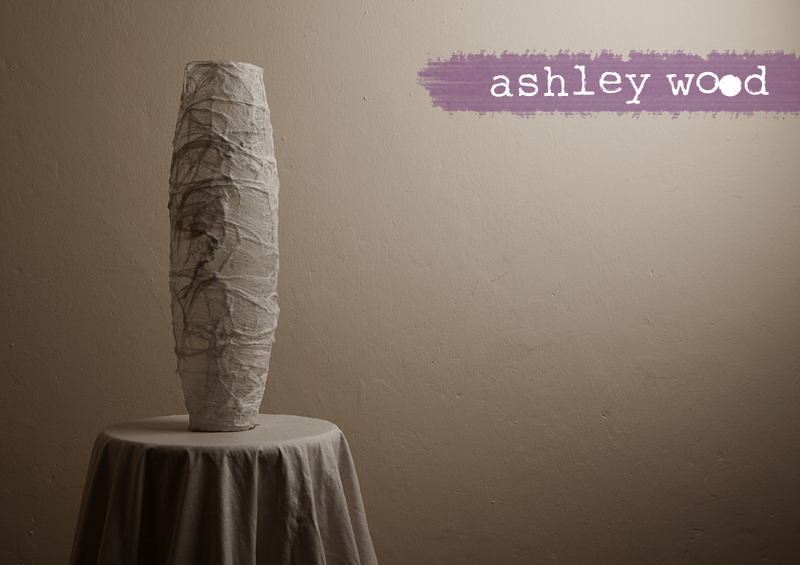 Ashley aspires to one day have her own store featuring her art and products as well as the works of selected artists and designers. She is also currently working on new artworks for a ONE DAY art exhibition, partially curated by her and fellow Ruth Prowse graduates Katharina Foster, Adele van Heerden, Bianca de Klerk and Anya Kovas. Ashley, you are truly an amazing inspiration and an exceptional woman! 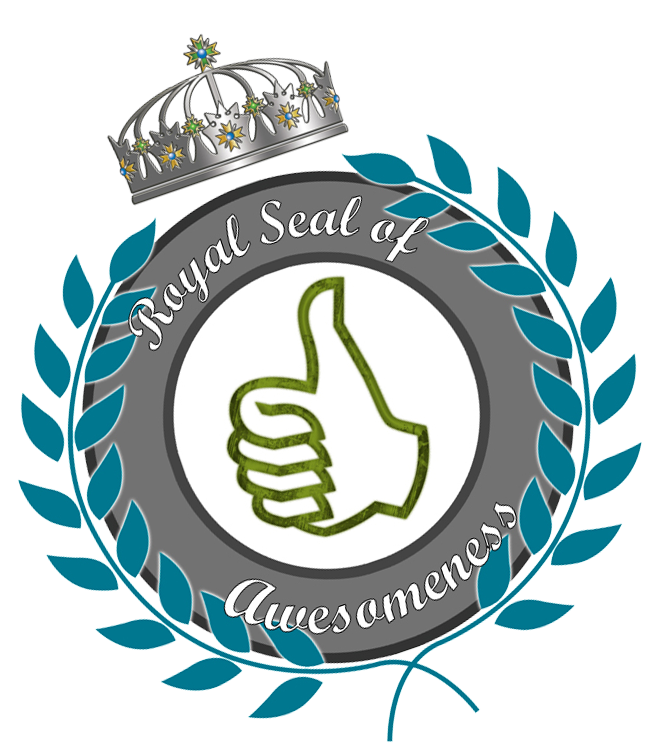 We give you the Royal Seal of Awesomeness. Having missed out on The Design Indaba Expo for last couple of years, I was determined to go along this year. I had to resist the desire to hang around the pool on a hot summer’s day, in favour of The Convention Centre. Like I said, it has been a good 2 or 3 years since my last Indaba and somehow I cannot recall it being as busy before, as it was on the Sunday. The exhibition hall isles were buzzing from early morning. From a Design aspect, as I still carry the expectation of “unique’ design products being exhibited at this Expo (and there were many), what struck me was the density of the commercial atmosphere. Nevertheless, being unashamedly “Proudly South African” I was thrilled by the abundance of design talent our country produces. Aden Thomas of Cape Talk made the comment along the lines of it being just a “fancy/larney craft market”. Something which Jonathan Cherry (Advertising Guru) duly proceeded to endorsed. Well I cannot share their take on the Expo and would like to point out that there is a difference between handmade products designed and produced by talented people, and craft market items, although both require the passion to craft something. After four hours, I walked away an exhausted woman, heading straight for that pool at home. What I have termed the “Cape Town Tour” Cake from Charlie’s Bakery. I could not take my eyes of the details which were so amazingly carved, telling the story of all the magnificent places and people of our country. I must have walked around it 3 or 4 times. The BOS Ice Tea “Ice Cream Man’s Cart and Bike” – this has more personal nostalgic value for me – of days gone by when the ice cream man was my favourite visitor to our street most days. In a time when nostalgia is big, BOS choose this clever “vehicle” for their brand. 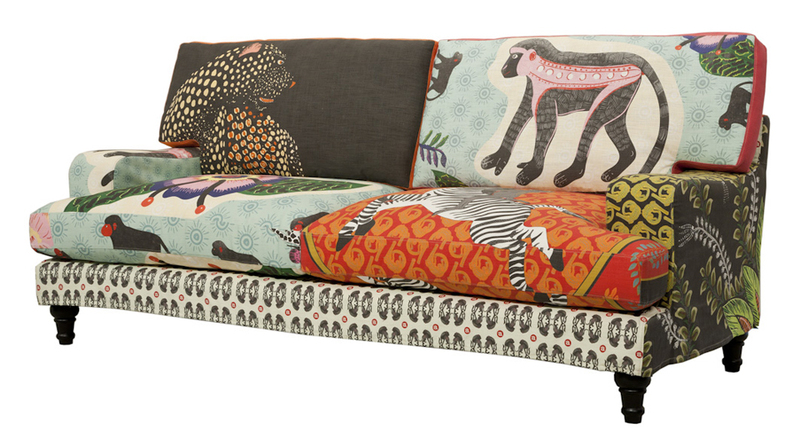 Ardmore’s latest development – textiles with their ever famous animale images on it. 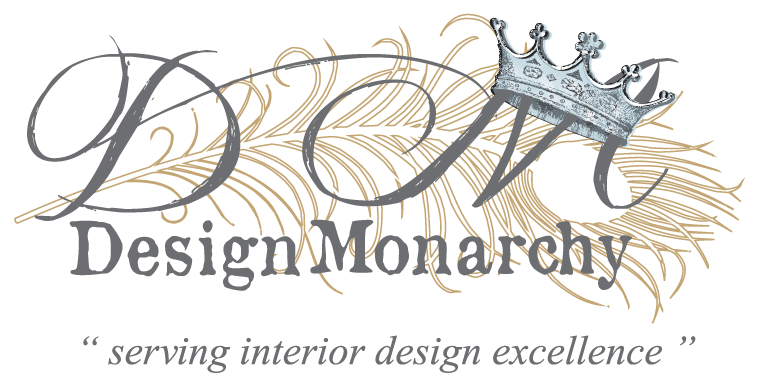 I give them the “Royal Seal’ for the appropriate choice of sofa to apply their textile design. I so wanna have this sofa in my house. 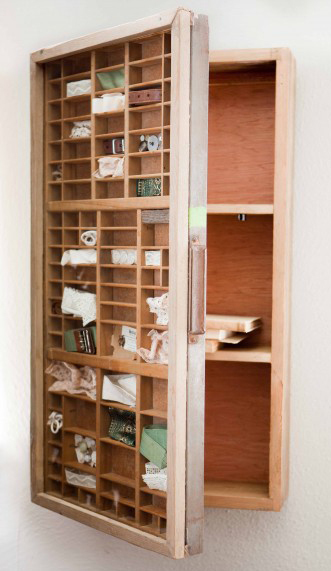 Re-Create’s Printers Tray, with glass front door – another nostalgic item, housing novel itsy-bitsy items. Took me back to my ole printers tray which I gave someone years ago – Damn! Hats off to her for her imaginative use of all things “old/nostalgic”. 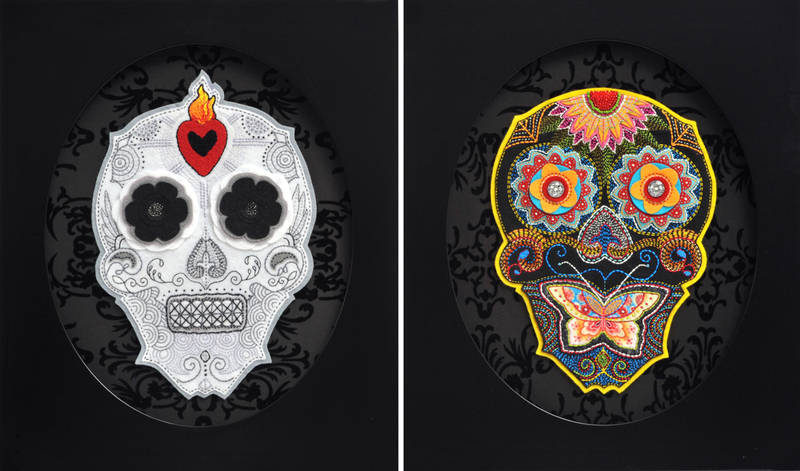 Aren't these Embroidered "El Dia De Los Muertos" Skulls by Calavera rocking? The Mexican “Day of the Dead” Skulls, by Nicola of Calavera – never before has a skull looked so impressive. The eyes are rather haunting. Staying with haunting items – this Rocky Horror Show type light fitting by one of the Emerging Designers, Ashley Wood, just did it for me. Believe it or not, the material is Gauze Bandage. I salute all the brave Designers and Emerging Designers who put themselves out there by exhibiting their talent at the Expo. It takes courage to “expose” your talent and passion to the public at large. For more info check out the Design Indaba’s Website. 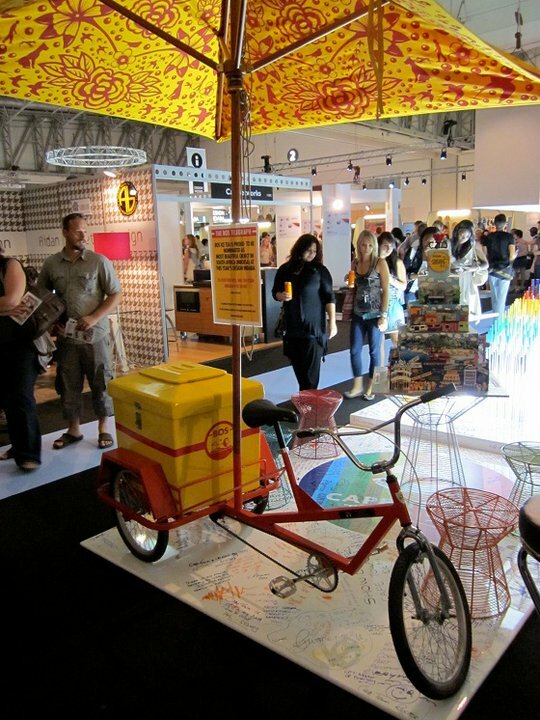 Images via Design Indaba & the various designers.